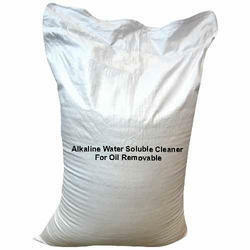 We supply aqueous degreasers for complete cleaning solutions of metallic and non-metallic parts. Our water based degreasers are used along with ultrasonic cleaning systems and jet washing sytems to clean various types of components. Owing to the efforts of our skilled professionals, we have been constantly engaged in offering a qualitative assortment of F90 Alusol Degreasers. Applications Suitable for mechanical components washing and degreasing applications. 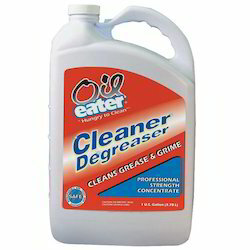 Highly effective degreasing formula to remove tough grease and oil stains from painted metal surfaces. Concentrated alkaline detergent with high degreasingpower.Removes heavy soils from frying pans, extractor hoods, floors, etc. We are engaged in manufacturing and exporting a wide range of aqueous degreasers.